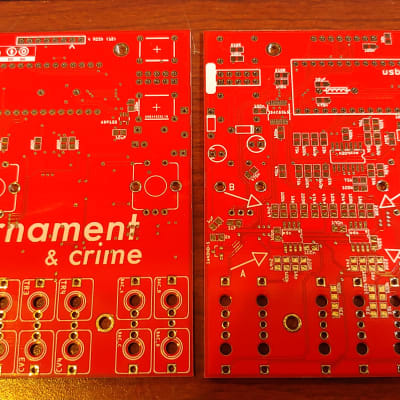 Ornament & Crime is a collaborative open-source project by Patrick Dowling (aka pld), mxmxmx and Tim Churches (aka bennelong.bicyclist). 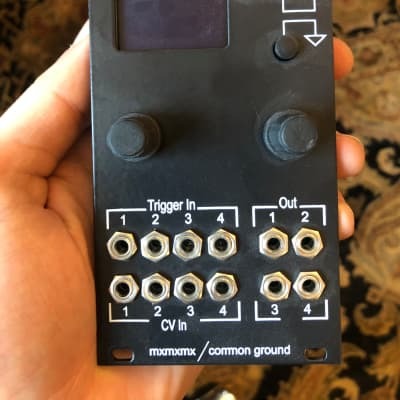 It (considerably) extends the original firmware for the Ornament & Crime (O+C) DIY eurorack module, designed by mxmxmx. There is still a quantising ASR (analogue shift register) function in Ornament & Crime, now named CopierMaschine, but several other "apps" have been added. These apps are selectable on-the-fly, without having to reboot the module or toggle the power. Several of these apps are experimental, or perhaps, quirky, in nature, which is not an accident: O+C makes an ideal platform for (relatively) quickly prototyping of ideas and testing them in Your open-architecture synthesis format of choice: Modern Moog Unit (MU)/Synthesizers.Com format. That said, none of the apps are intended to be just toys, and some provide cutting-edge performance and/or capabilities not currently found in any other module. CopierMaschine is an enhanced version of the original quantising digital emulation of a four stage analogue shift register (ASR). Harrington 1200 provides basic neo-Riemannian Tonnetz transformations of triadic chords, triggered by the digital (gate/trigger) inputs. 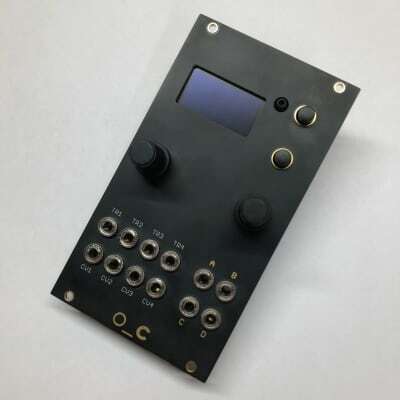 Automatonnetz combines Tonnetz transforms with a "vector" sequencer - it can be both a chord sequencer and a melody sequencer, but not of the usual kind. Quantermain is a quad pitch quantiser for external voltages, with editable scales; it can do clocked (trigger-driven) quantising, or continuous quantising, with a latency of under 100 microseconds (uSeconds); it also features quad Turing Machines, May-Verhulst logistic maps or byte beats as optional, semi-random, internally generated CV sources. 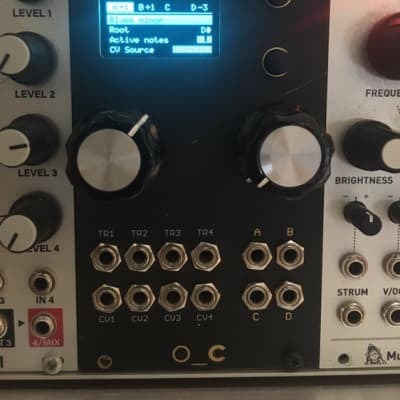 Quadraturia is a wavetable quadrature LFO, based on the "Easter egg" in the Mutable Instruments Frames module. 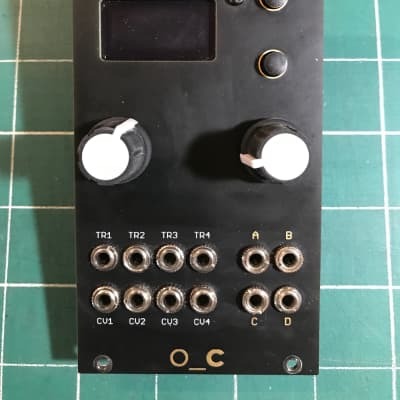 Low-rents is a dual Lorenz and Rössler (strange attractor) modulation generator, partially based on the "Easter egg" in the Mutable Instruments Streams module. 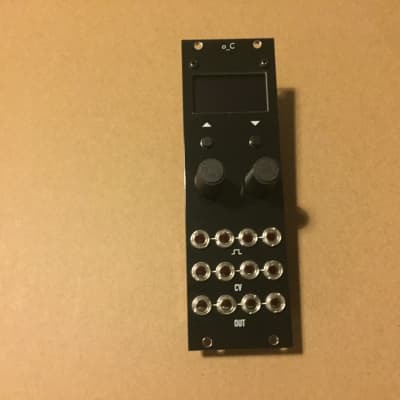 Piqued is a quad voltage-controlled envelope generator, based on envelope generator code from the Mutable Instruments Peaks module, but extending it with voltage control, additional envelope types, including re-triggering (looping) envelopes, additional segment shapes, adjustable trigger delays, and a unique Euclidean "trigger filter" which turns the app into a Euclidean rhythm generator which can output envelopes, not just gate or trigger pulses. Dialectic Ping Pong is a quad bouncing ball envelope generator, based on a hidden mode of the Mutable Instruments Peaks module. Viznutcracker is a quad "byte beat" equation generator, which can be used as an audio source to generate curious but often interesting 8-bit noises and tunes, or which can be clocked by an external source to produce "byte beat" control voltage sequences. "Byte beats" were first described in 2011 by viznut (aka Ville-Matias Heikkilä). References is a simple utility app that outputs specific reference voltages on each channel to help tune or calibrate VCOs and other modules.